I think the three shades of red look lovely. Your blocks look great. For me when I am in your situation regarding the white. 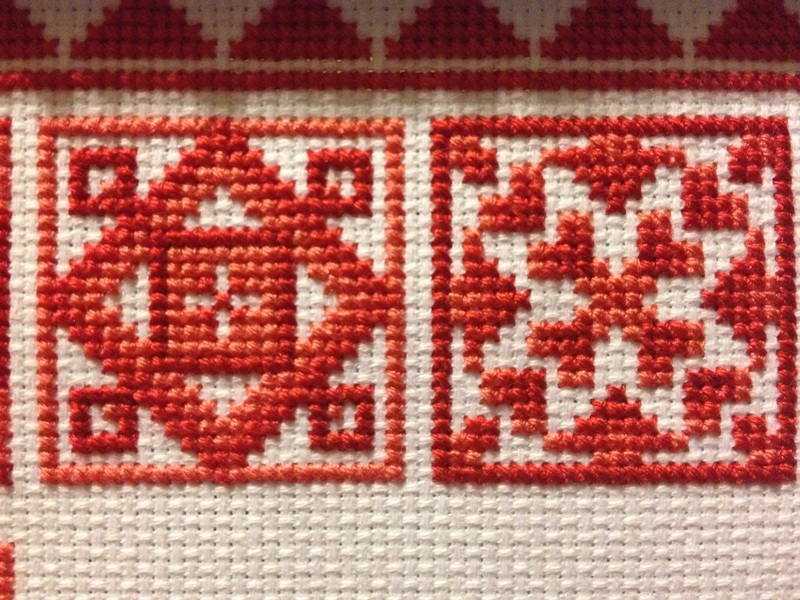 It is always nice to have one color left to fill in without worrying about counting and not making a mistake with the rest of the pattern. This looks great. I feel the same about colour contrast between floss and fabric. I am definitely more drawn to bright colours! If I work with softer colours I have taken to using a darker colour fabric. Midnight blue is my current favourite – it provides a good contrast without being too harsh.